I'm available for hire as a freelance Pro Tools or Sadie engineer, specialising in recording, editing and mixing speech and sound for broadcast and online. I'm happy to work in your studio, or can edit and mix remotely in my suite at home. Foreign localisation / language dubbing and more. I've worked as a studio engineer in London since 1999 and decided to go freelance in 2011. I have my own portable Pro Tools recording rig (using a 15" MacBook Pro), various mixers and interfaces, including the Focusrite Clarett 8Pre, and broadcast-quality small- and large-diaphragm condenser microphones. I can offer recording at your location, for live shows, podcasts, round-table discussions, interviews and more. I've previously recorded live comedy and panel shows at venues such as the London Palladium, Theatre Royal Brighton, The Dancehouse Manchester and The Royal Albert Hall. I also record and make some of the most exciting podcasts on the internet, including The Guilty Feminist and How to Fail with Elizabeth Day, both of which I've worked on since their inception. Please note extra costs will apply if I need to travel outside London. I have a powerful arsenal of sonic goodies available at your disposal. Alongside the industry-standard Pro Tools, I also have the incredibly good Izotope RX6 Standard restoration package, and Adobe Audition and Sound Forge for fine file editing, mastering and batch processing. I have fast fibre-optic broadband for fast up/downloads, and 100GB of cloud storage for client deliveries. Please note, I am an experienced engineer for audio-post, and am not a sound engineer for music. I do not offer location sound recording for TV or film. 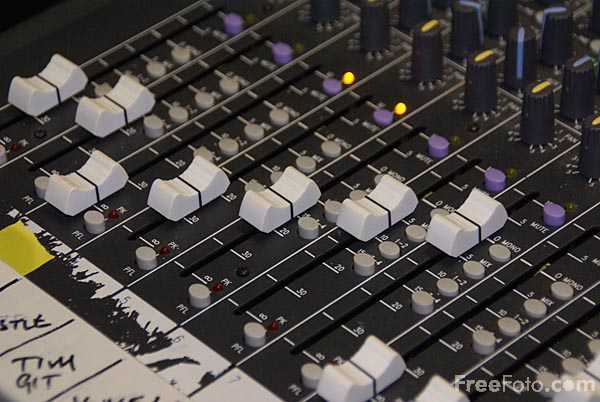 The obligatory hackneyed close-up shot of a mixing desk can be found here. For some jobs like podcasts, I'm happy to negotiate a set price per item, rather than my day rate, so you know what you're spending. Do get in touch. No VAT involved. Prices exclude any dry-hire studio costs, however my own equipment and audio suite carries no additional charge. Please note that if you'd like me to come to your location or studio, I serve London only. I may be happy in some circumstances to work outside London but it will incur additional charges to cover transport from/to London, travel time and any accomodation costs. If I'm working in my audio suite at home then of course there would be no such issue! I'm afraid I don't allow clients to visit my home audio suite - all remote editing/mixing work is carried out unattended. If you're interested, my music can be found Here. It's an acquired taste.